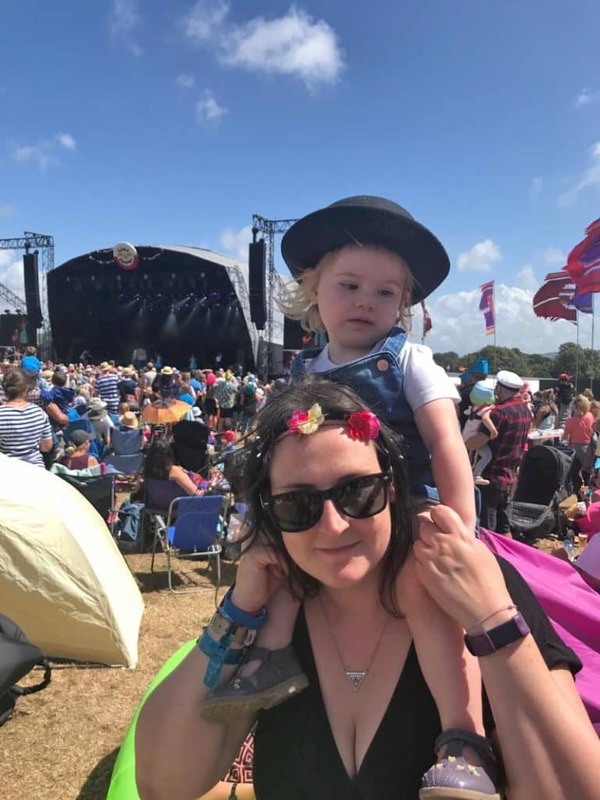 Festivals aren’t just for free-spirited 20 year olds and Camp Bestival in Dorset shows that they can be fun for the whole family. 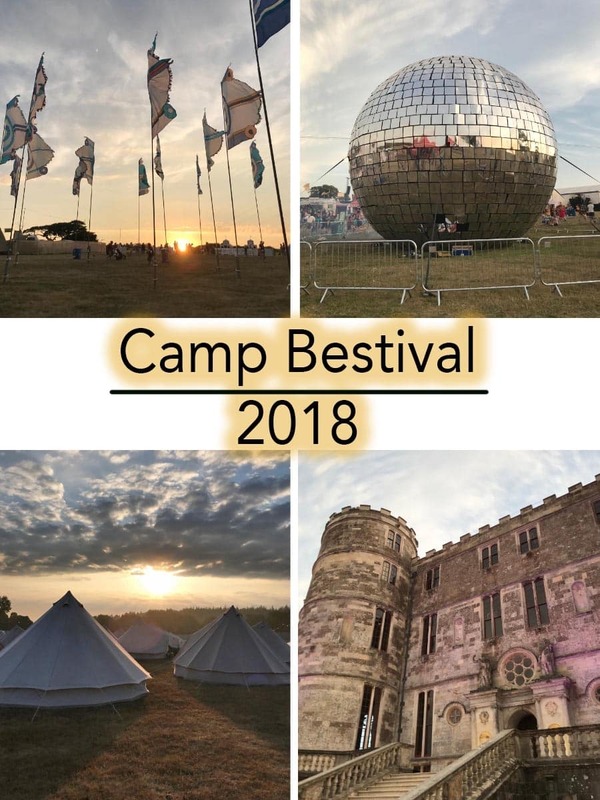 We have just got back from our second time at Camp Bestival and wanted to share some highlights. Sadly the festival has to be cancelled on the last day due to dangerous conditions from the wind and rain. Disappointment swept across the camp, along with peoples tents, but they made the right decision. Health and safety comes first. 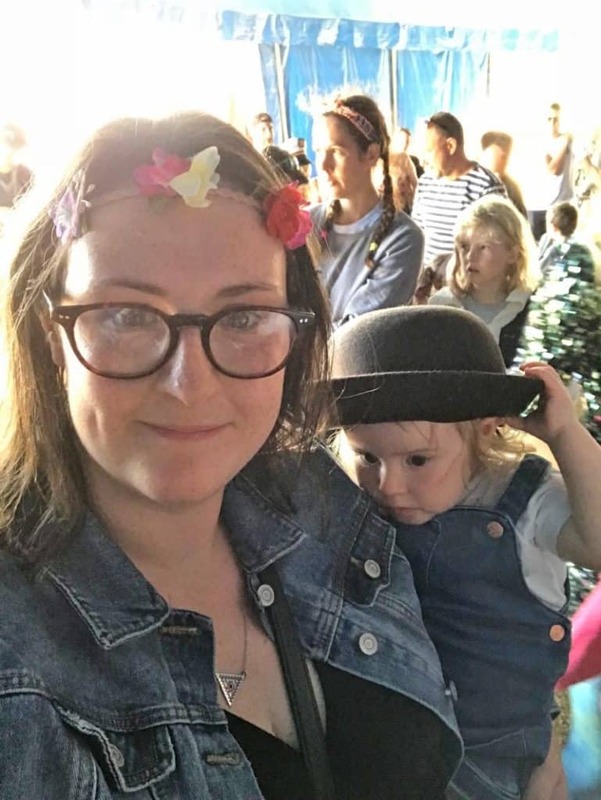 Despite having to go home a day early and the insane wind and rain that we battled through, we had an incredible 3 days where we made some wonderful family memories, ate delicious food, broke a world record, danced and there was even some sunshine! After a 5am start and a 9 hour journey down to Dorset, we unloaded the car and queued up to get our bags checked before we could get to camp. Security is pretty strict in terms of not taking glass in, so it can take a while to get through. 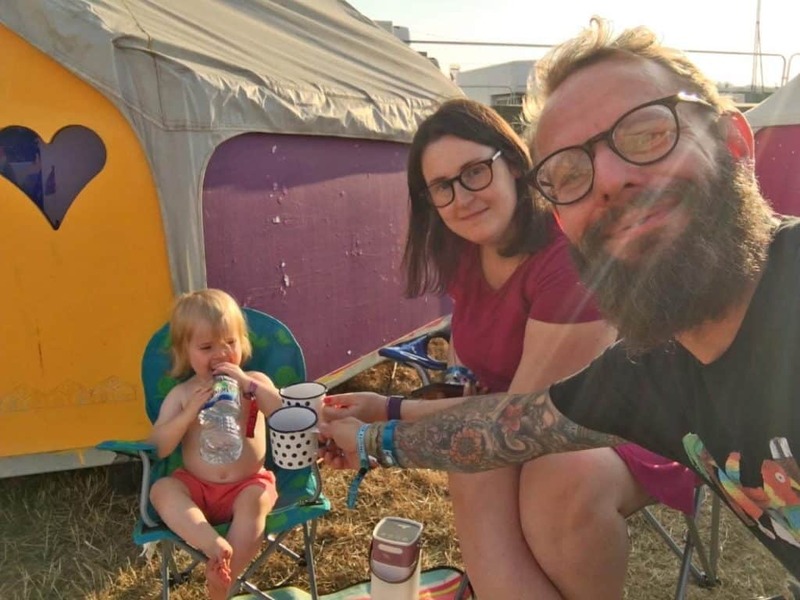 Whilst we are no strangers to camping in a tent, we were staying in a Octopad with Pod Pads for the weekend. We stayed in one last year at Camp Bestival and we loved having a bed to come back to each night and also plug sockets to charge our phones. 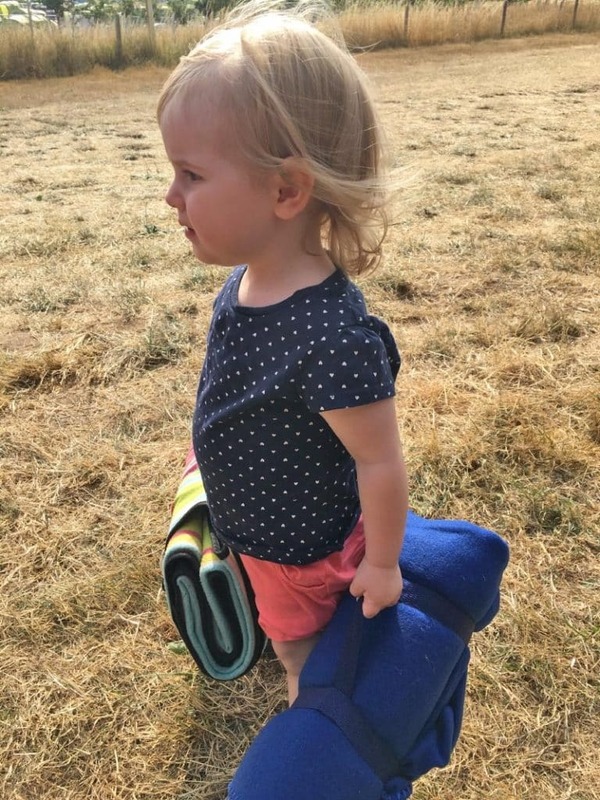 Going to a festival with a 1 year old comes with a lot of stuff. It doesn’t have to, it just seems we are incapable of travelling light. So we appreciate having the pod to store our stuff and, as bloggers, having a lockable door to keep our camera safe is another bonus. 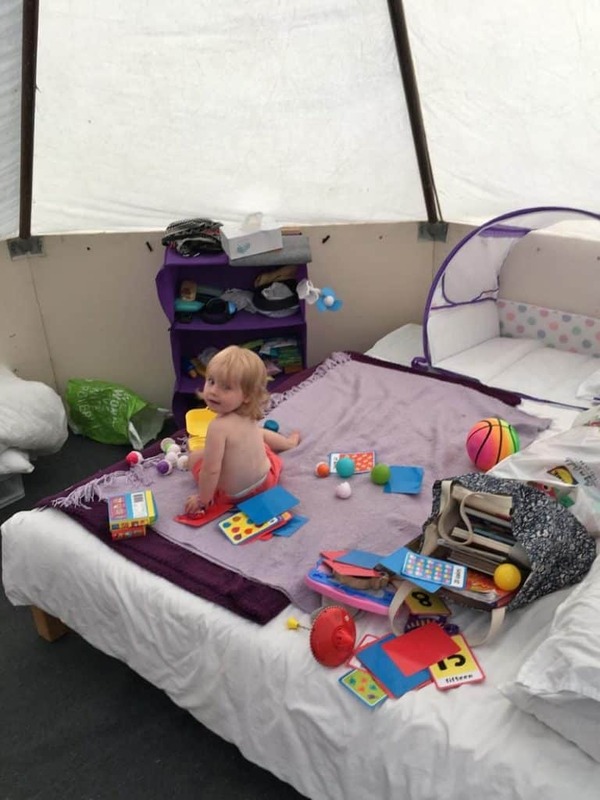 The Octopad we stayed in came with 4 single beds, but we put 3 of them together to make one big family bed and we put Avery’s travel pop up tent on it. Add a duvet and some blankets and you have a home from home. Avery certainly made herself at home straight away. As Dave did a few more trips to and from the car to get all our stuff, I started making some dinner for us. 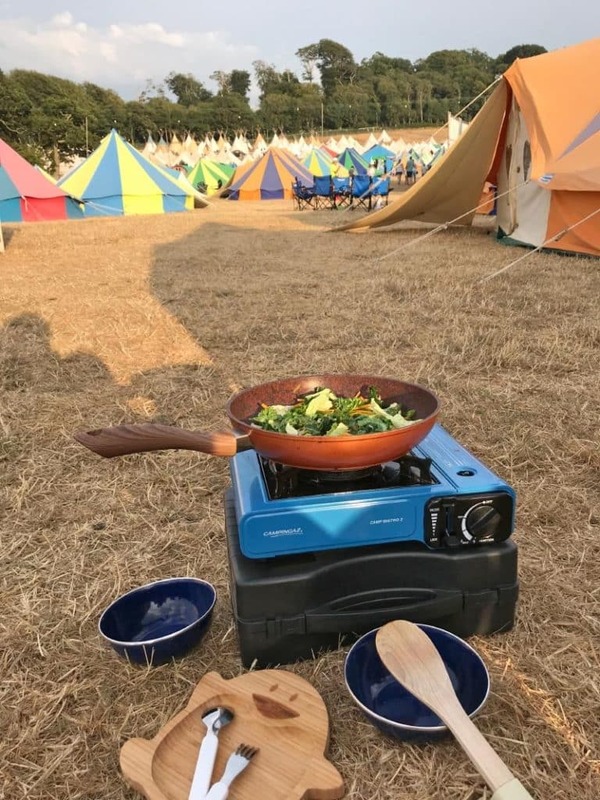 We fully intended to try as much festival food as possible over the weekend, but we thought we would save some money and cook on the first night. 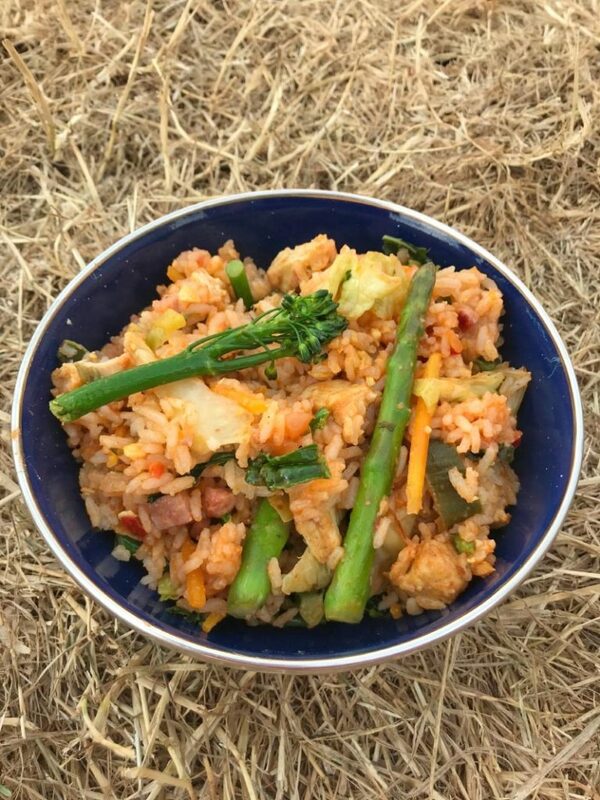 I did some prep the night before by chopping veg and cooking some rice and then I made this nasi goreng (like an Indonesian paella) on the camping stove. Not to blow my own trumpet or anything, but pretty much everyone that walked past said it looked amazing. I should have set up my own food stall or something! We filled our bellies and then cracked open the wine to start the festival as we meant to go on. Avery joined in on a toast with a bottle of water. 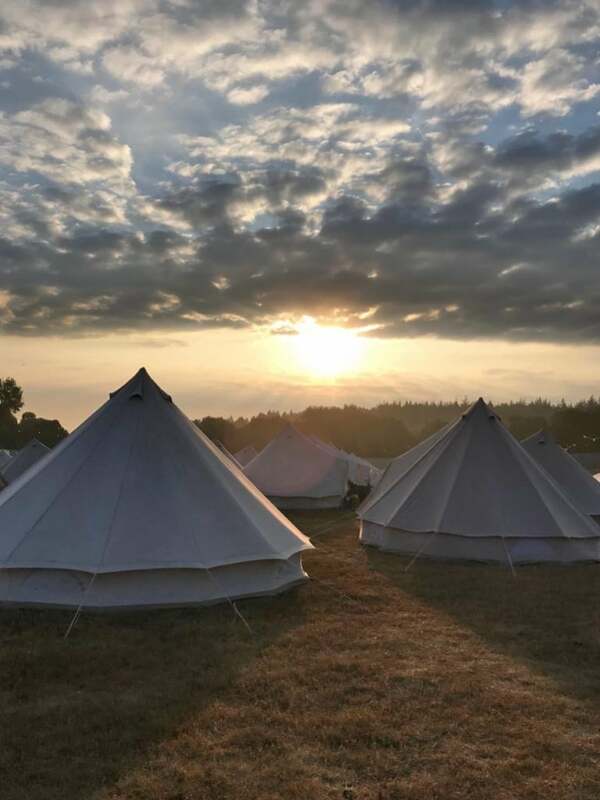 The sun was shining on our first night in camp, and although there were no official activities on the first night and only the upper part of the festival was open, we headed out to check everything out. The layout of the festival was mostly the same as last year and we knew that there was a fair amount of walking to be done. 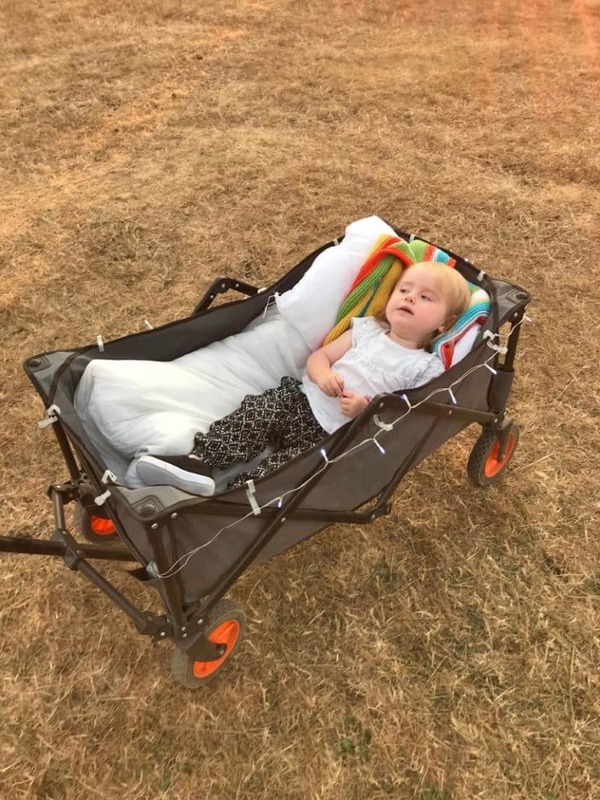 So we got one of these garden trolleys to pull Avery around in and hoped she might sleep in it. Loads of people used these last year so we thought we’d get one. We were a little worried she wouldn’t be happy in it, but she loved it. A duvet was placed at the bottom of it, we added some fairy lights and gave her a blanket. She was snug as a bug in it. We could have taken our pram, but not sure how well it would have done on the terrain. 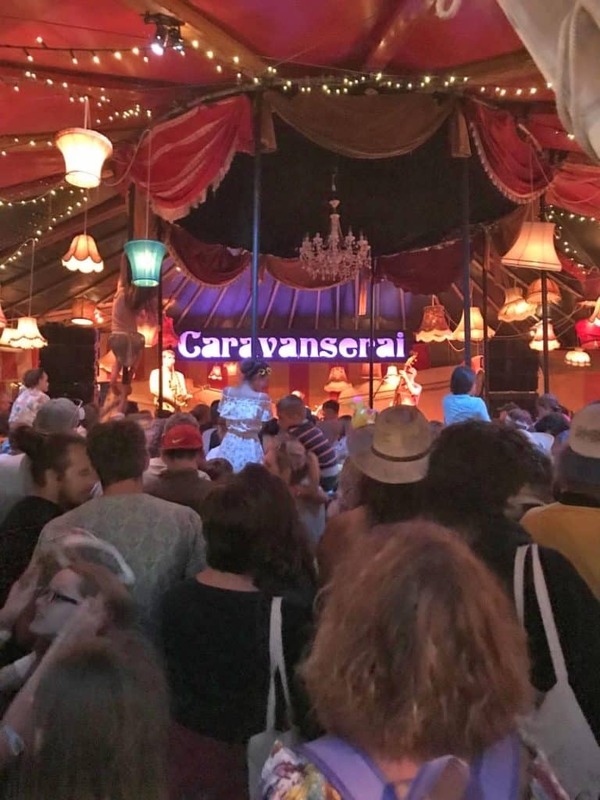 Caravanserai is one of my favourite parts of Camp Bestival. 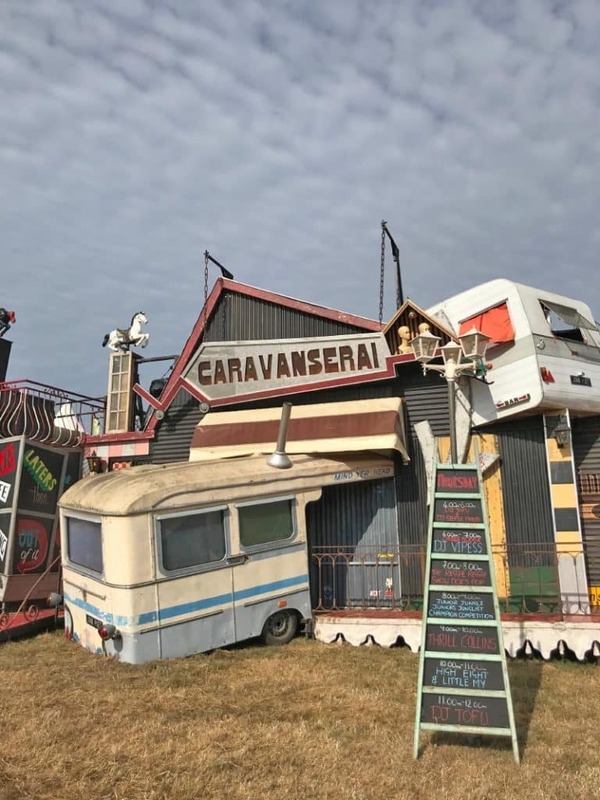 Like the name would suggest, it is full of vintage caravans and fair ground vibes and a good place to grab a cocktail and have a dance. Luckily as we walked past we noticed that Thrill Collins were playing. They were a highlight of CB last year for us and we wanted to see them again but didn’t know they were on on the Thursday night. 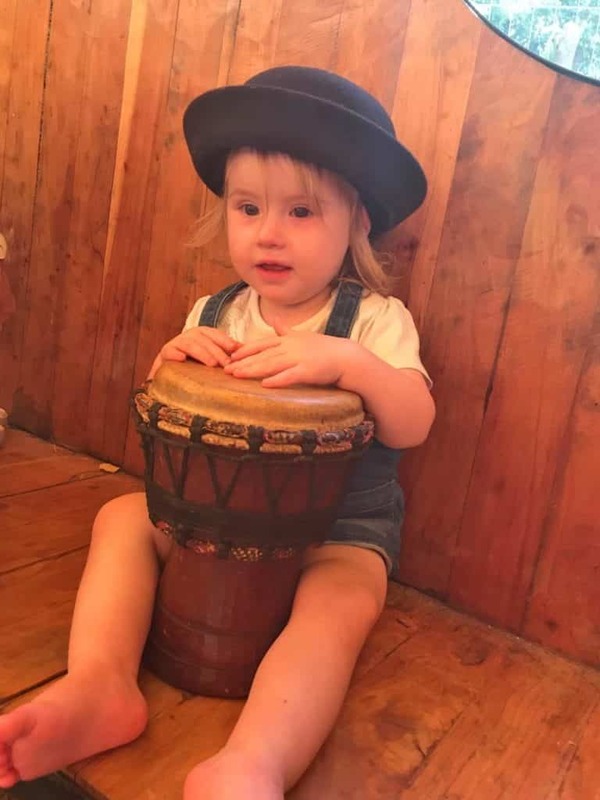 Despite Avery been exhausted, she was still in a dancing and partying mood. We danced to some classic garage covers and even a rendition of Time Of My Life from Dirty Dancing. The perfect way to end the first night of the festival. One thing about to Octopad is that as soon as the sun starts coming up, it gets warm. That, and having a toddler, means we were awake at 5:30, but that meant we got to see the sunrise and beat the shower rush. 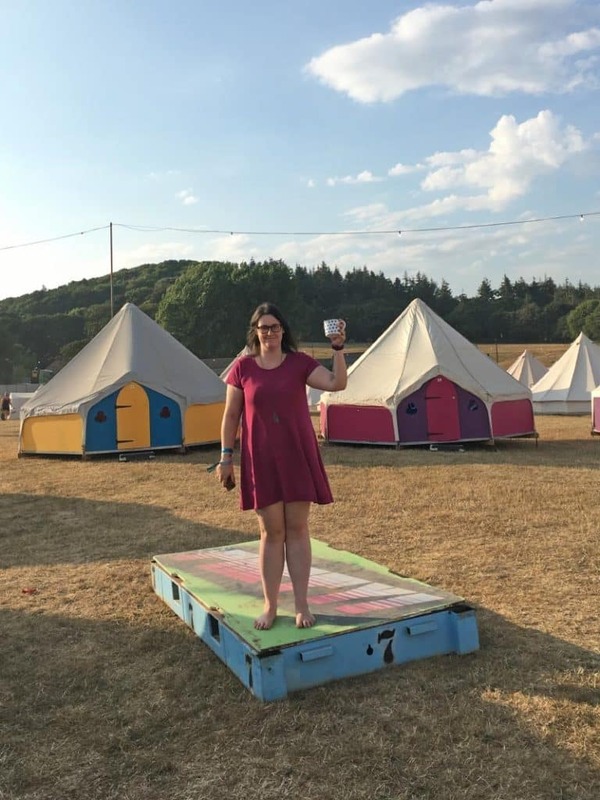 One of the great things about staying in Boutique Camping with Pod Pads is that there are real flushing toilets (and clean too) and proper clean showers. There aren’t loads of them, but we never had to queue for the toilet and only a 10 minute queue at most of the shower. 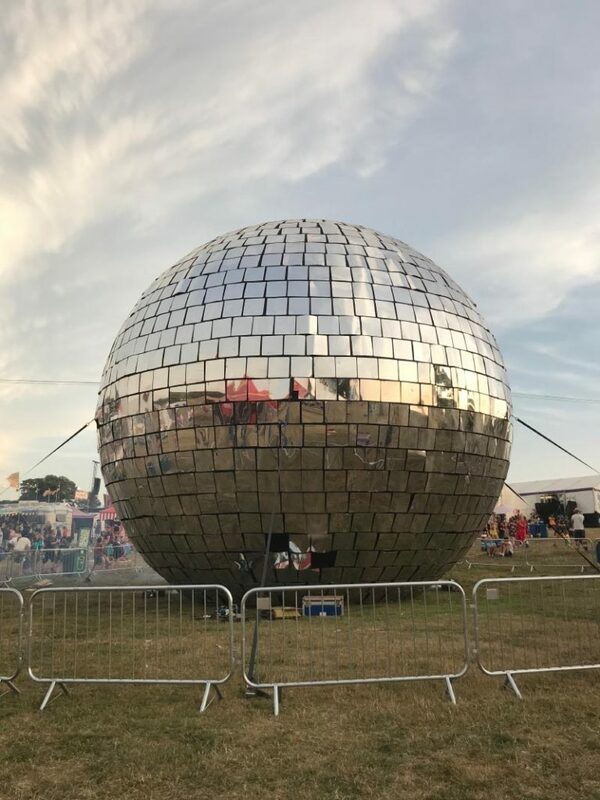 First thing on the agenda for the first official day of Camp Bestival was breaking a world record. 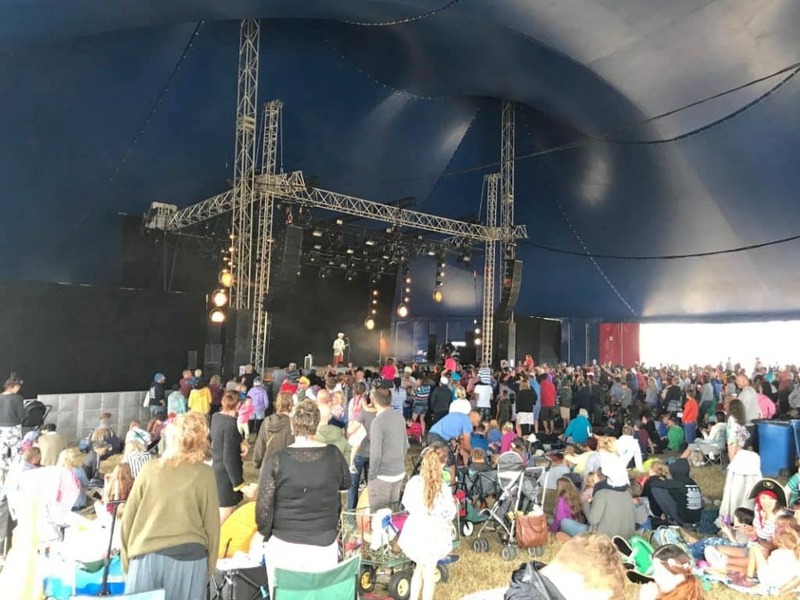 That’s what a I love about this festival – there are so many things to do that you wouldn’t have an opportunity to do elsewhere. 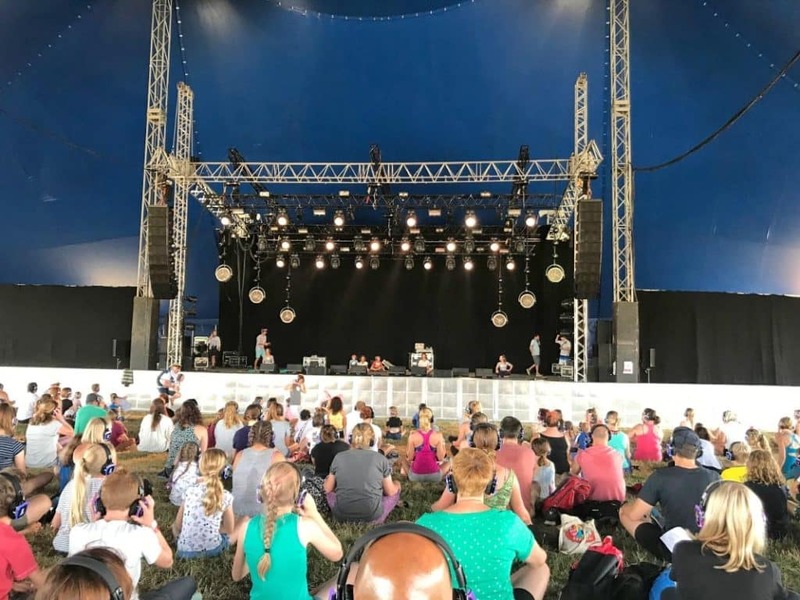 They were going to attempt to break the world record for the biggest silent yoga session, and that’s something we couldn’t miss out on. 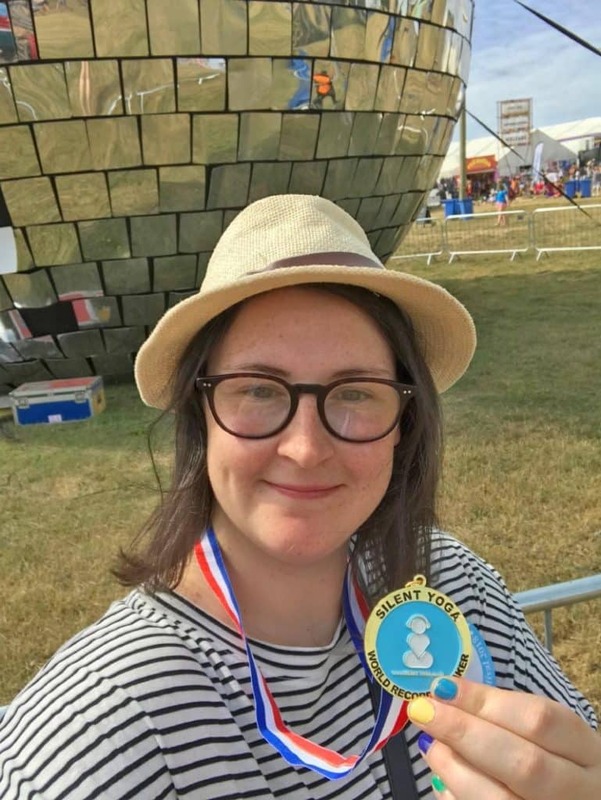 After a 30 minute guided yoga session with headphones on, over 400 of us broke the record and got a medal to show for it. I’m a world record breaker! Avery had been having a nap, so Dave took her for a walk whilst I was busy breaking a record. By the time I had finished she was awake and climbing inside a tree. 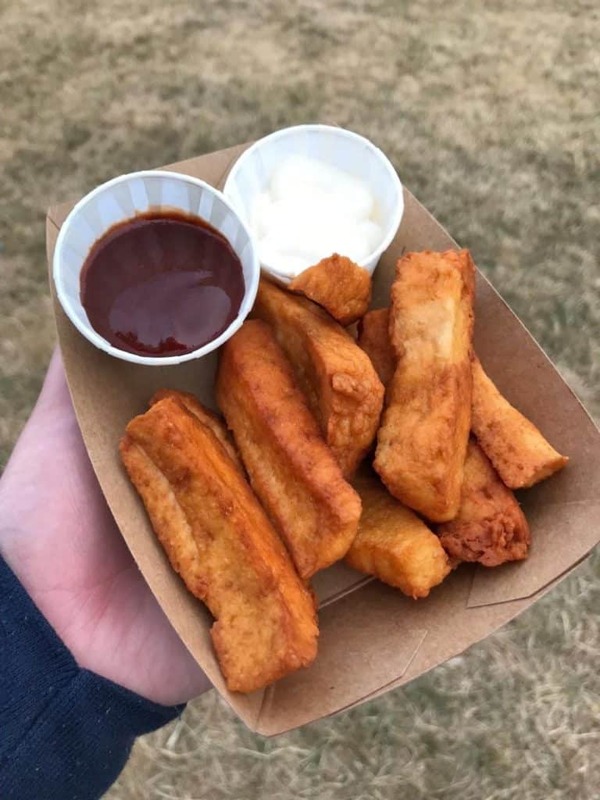 How have we gotten this far without featuring any of the incredible festival food? There really is something for everyone and if you couldn’t find anything you like, then you probably don’t eat anything at home either! 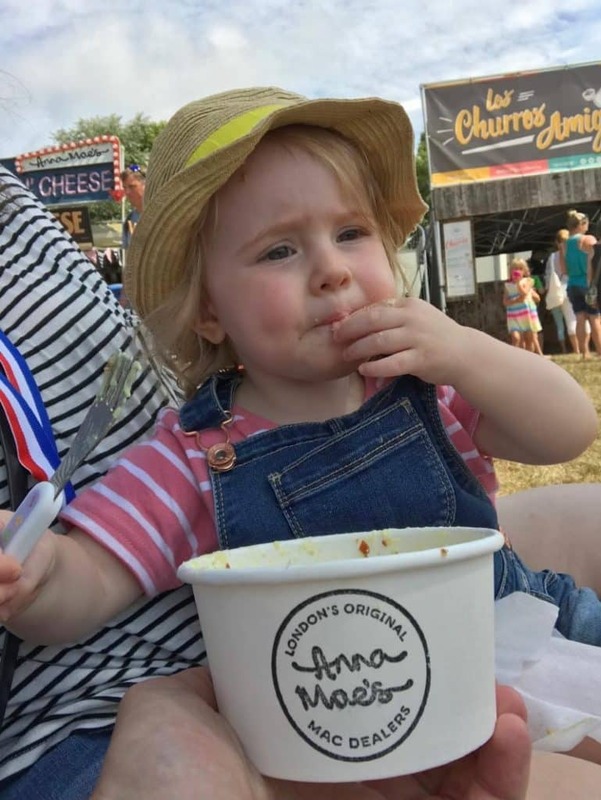 Something we enjoyed last year and we knew Avery would like to us Anna Mae’s Mac and Cheese. 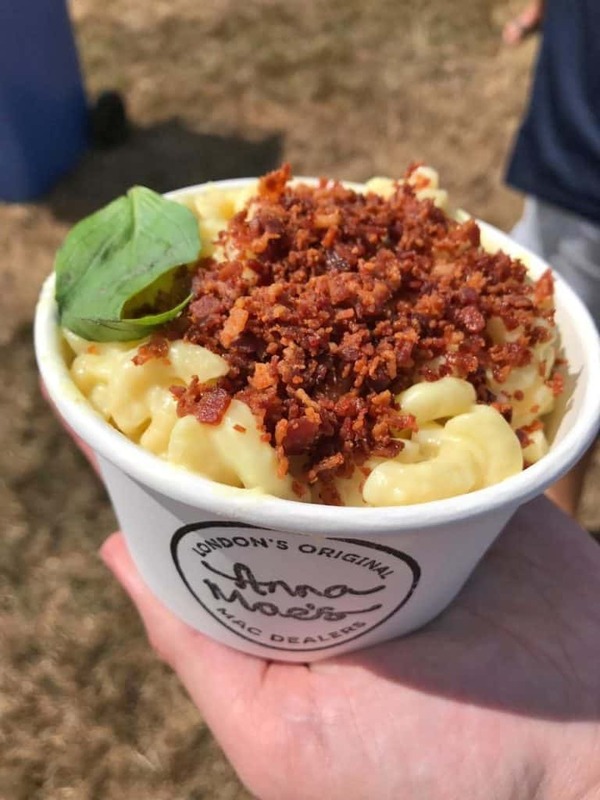 You can go with classic, a spicy one, hot dog mac and cheese or this one with basil and bacon. £7 for a huge portion is pretty good value. 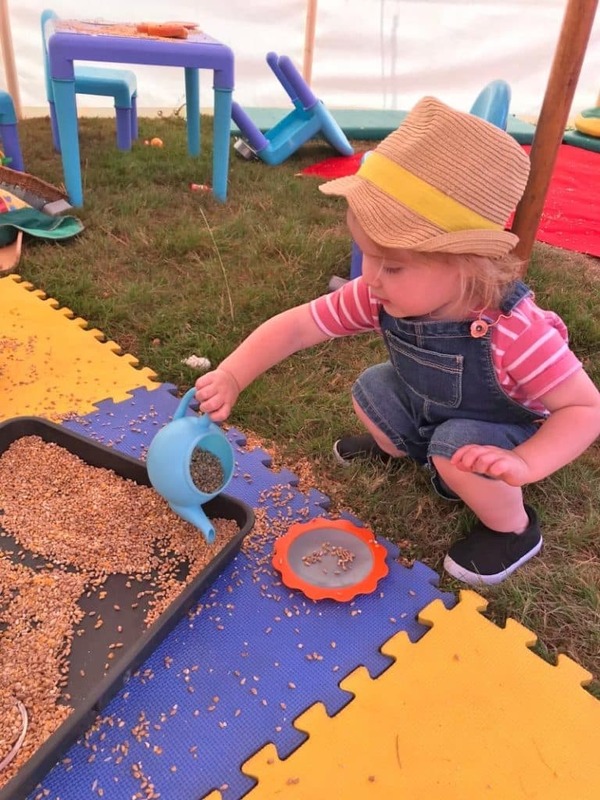 Camp Bestival is really all about the kids. 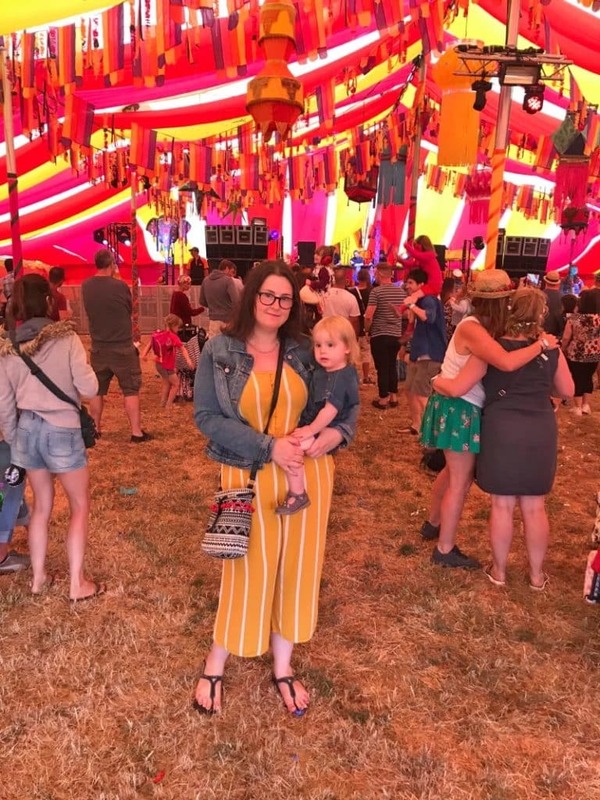 Don’t get me wrong, there is lots to keep adults entertained and nostalgic music acts for us, but the kids activities are where this festival really shines. 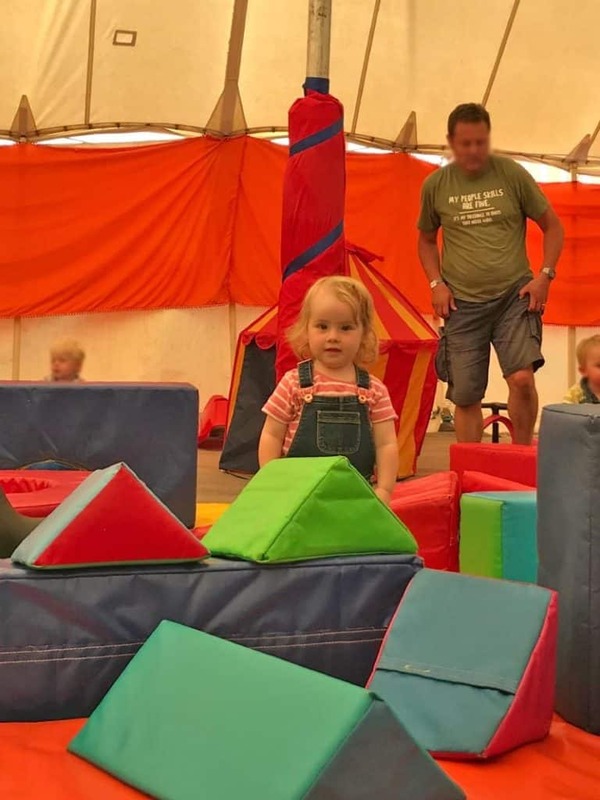 Somewhere we spent a lot of time last year was the soft play tent and it was even better this year as Avery is old enough to really enjoy it. If the weather takes a turn for the worse, or you just want to tire them out, this is the place to go. 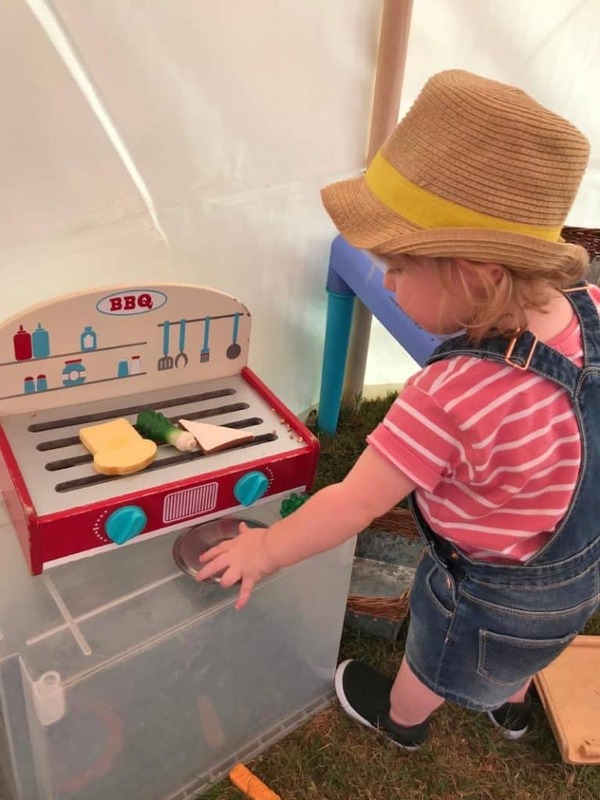 There is also a toddler play area in the upper kids area that had sensory activities, books and play tunnels and that’s all right next to the huge outside kids play area. Your kids will never get bored. This is all included in the price of your ticket too. After another nap (Avery, not us), we headed to check out the Bollywood Tent. It’s basically like a constant rave. We never went late at night, but the party carries on late in there and apparently it’s the place to be! This year, Huey Morgan of Fun Lovin’ Criminals had a residency. It was dinner time so we went to the Feast Collective tent which is basically where all the best food stalls are. Ghanaian, Thai, Vegan burgers, seafood, Chinese buns, it’s got it all. We got Avery this kids box of grilled Thai chicken and jasmine rice and she devoured it. Just £5 for this kids portion and it’s huge. 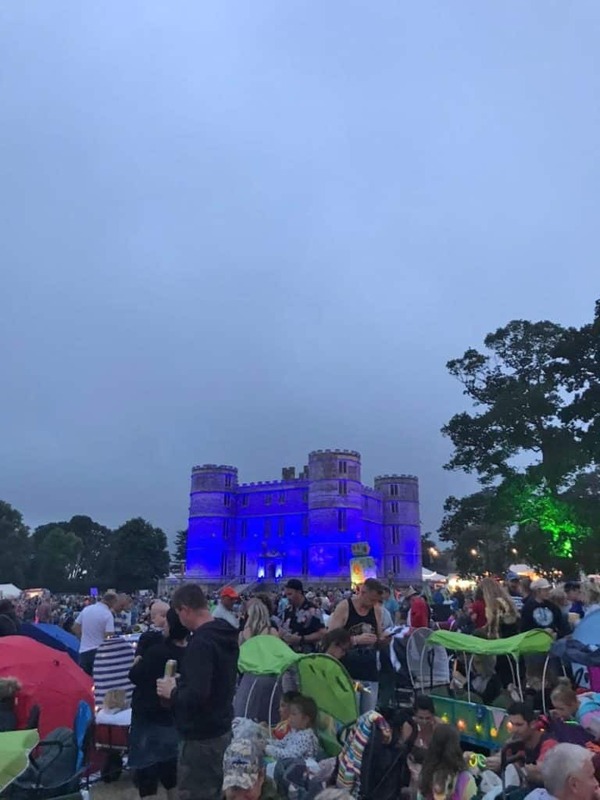 The headliner for the Friday night was Rick Astley, so we went to the castle stage to find our spot to settle down for an evening of 80s cheese and some cans of gin and tonic. 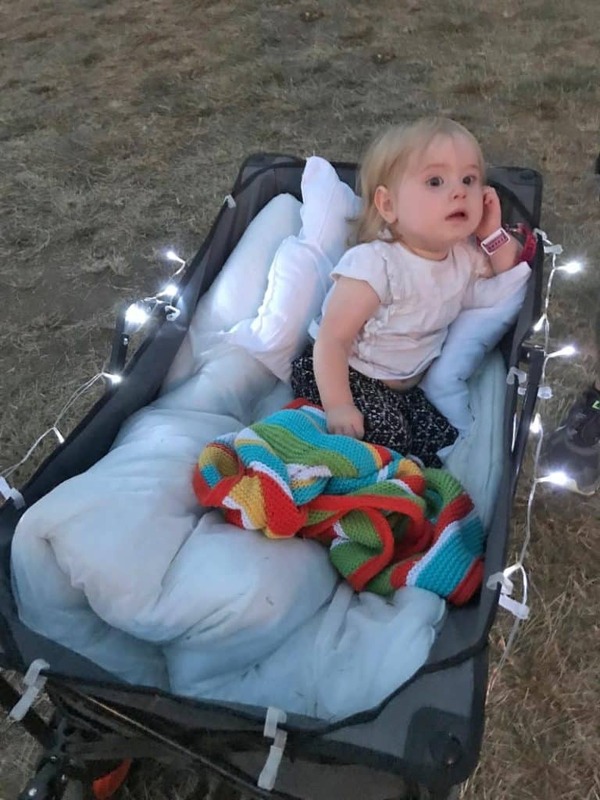 Avery wasn’t as excited to see Rick as we were, so she settled down in the trolley for a sleep whilst we had a dance. Rick didn’t disappoint, but the highlight of the show had to be when Mary Berry came on stage to play drums for him. Yep, THE Mary Berry. No idea why and it is one of the most random things I have ever seen. She should stick to her day job though! 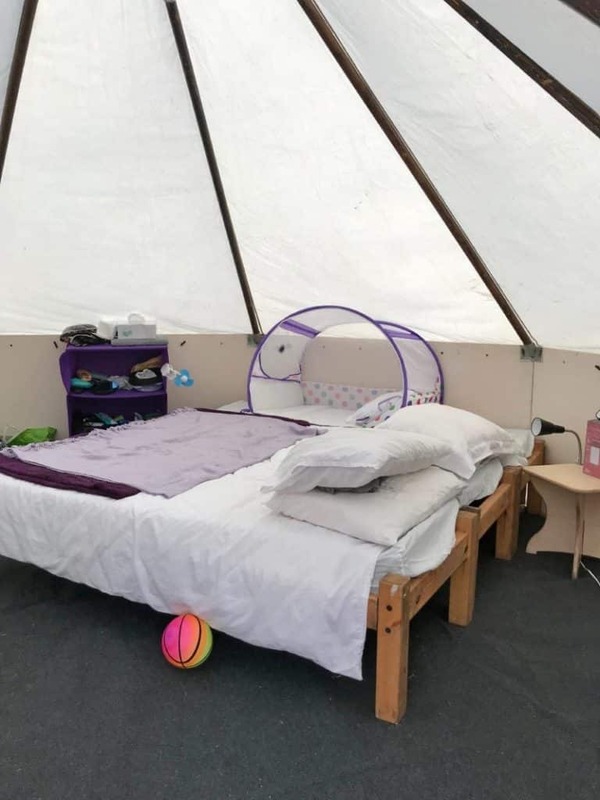 We had such a good nights sleep in our Octopad. You can hear music until about 2am, but you are at a festival after all. We were lovely and warm in a comfy bed, so we enjoyed the atmospheric noise. We woke up refreshed and ready to take on day 2. 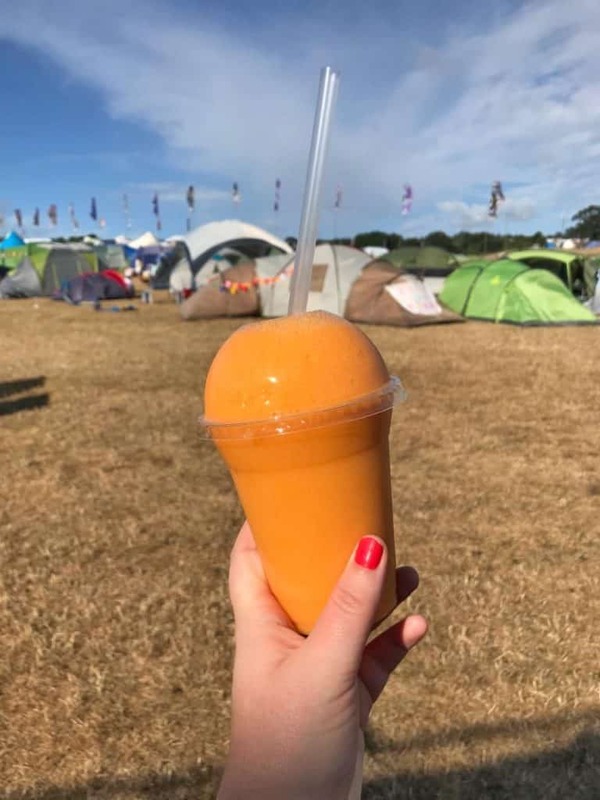 There is a big food van just outside of boutique camping that has about 10 different smoothies on the menu, so we picked up a carrot and ginger packed one for a bit of a vitamin boost. The Saturday was all about the kids, as first thing in the morning there was a Peppa Pig meet and greet. Avery is Peppa obsessed and would have it on constantly if we let her. 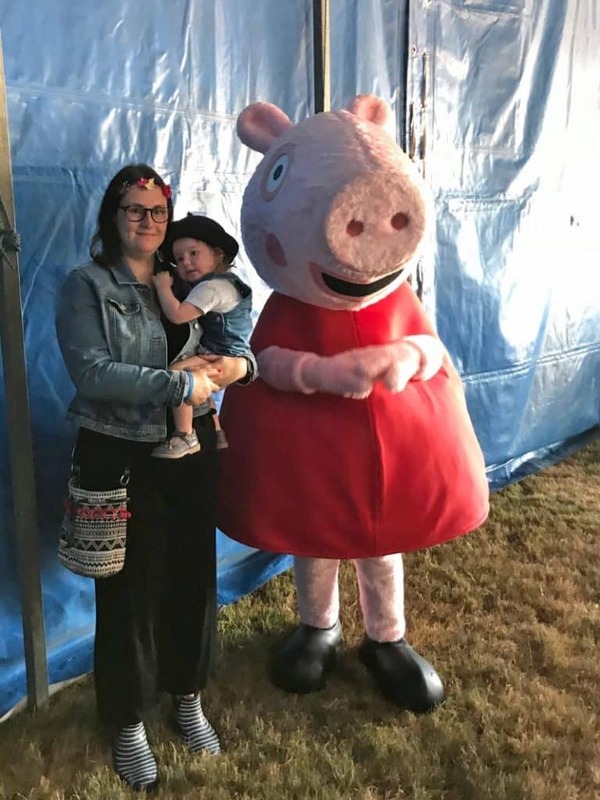 So you would think that she would be ecstatic to meet her, but it was a 6ft Pig so you can’t blame her for being terrified. We queued up and had a couple of photos, but Avery didn’t want to get too close. Sadly that didn’t mean the end of the Peppa Pig obsession. We had a super early breakfast, so by the time 11am rolled round we were ready for lunch. Most places were still serving breakfast and lunch wasn’t available until 12, but there were a few places ready for hungry parents that had been up since 5am. 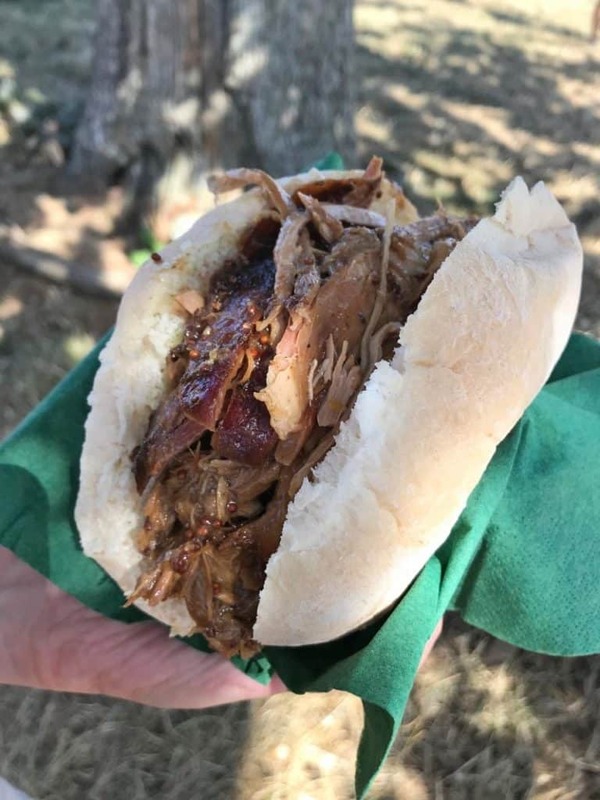 Dave went for a slow roasted pork with stuffing and apple sauce and I went for the exact opposite and had a giant hummus pita with halloumi on top. It was veggie packed and I have been craving it ever since. Avery was napping again (she seriously loved sleeping in that trolley) so she missed out on delicious food van food. But we went to the WI tent to get her a sandwich. 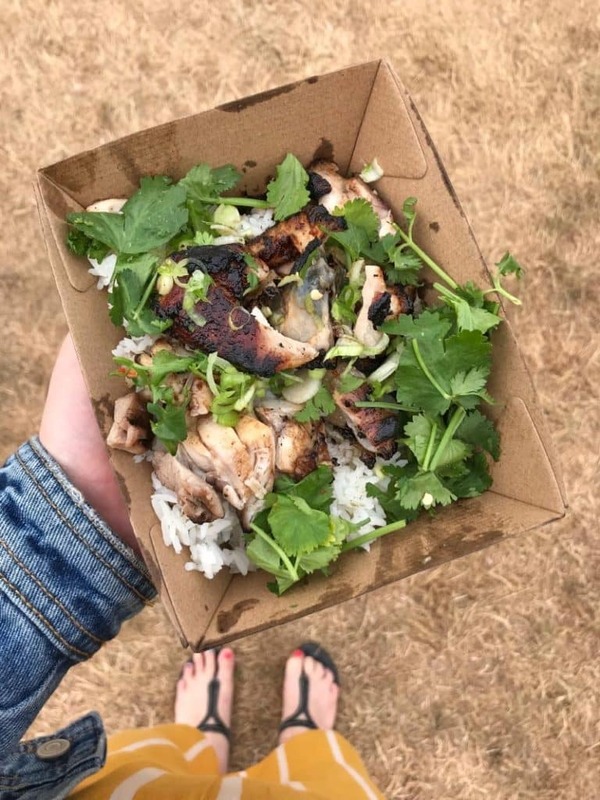 If you are looking for simple budget friendly food at the festival, then head here. £2.50 for a sandwich – you can’t complain at that. 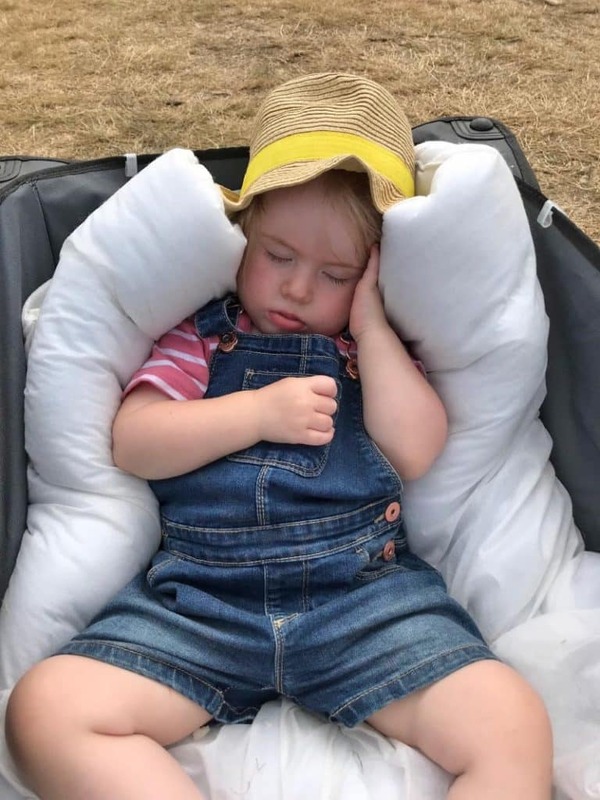 The afternoon was packed full of kids TV characters on the stage and Avery woke up just in time for Mr Tumble to come on stage. Yay (sarcasm). I have never heard kids make so much noise – they love him. 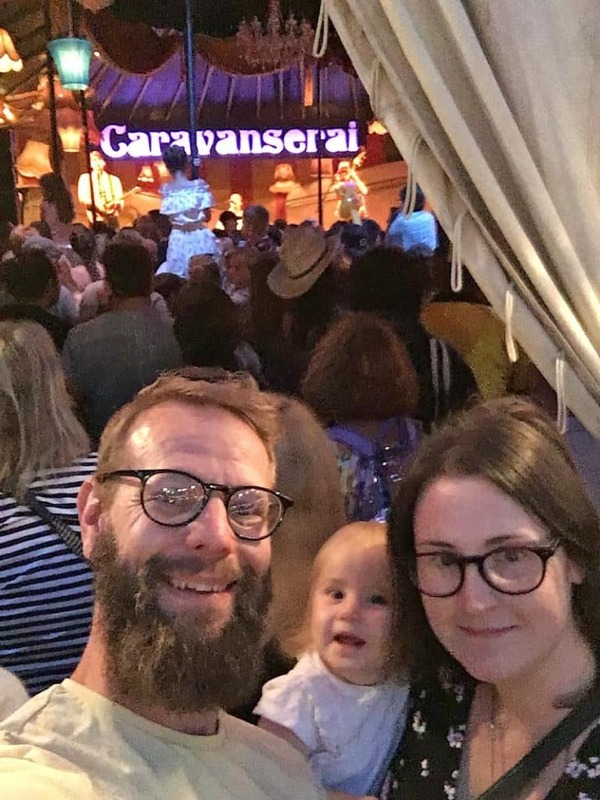 There was singing, dancing, smiles everywhere, and that was just the parents. He put on a good show to be fair. 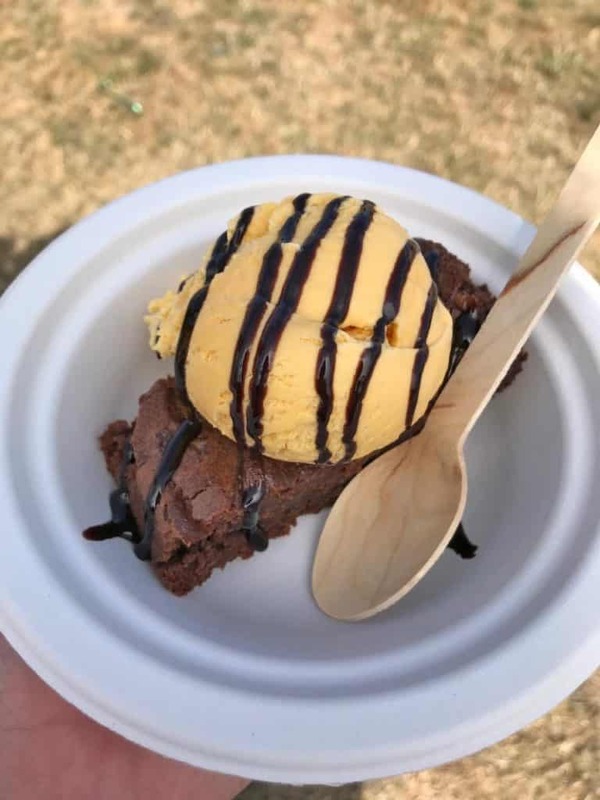 We were also sat next to the brownie van, so the salted caramel brownie made the whole situation a bit better. 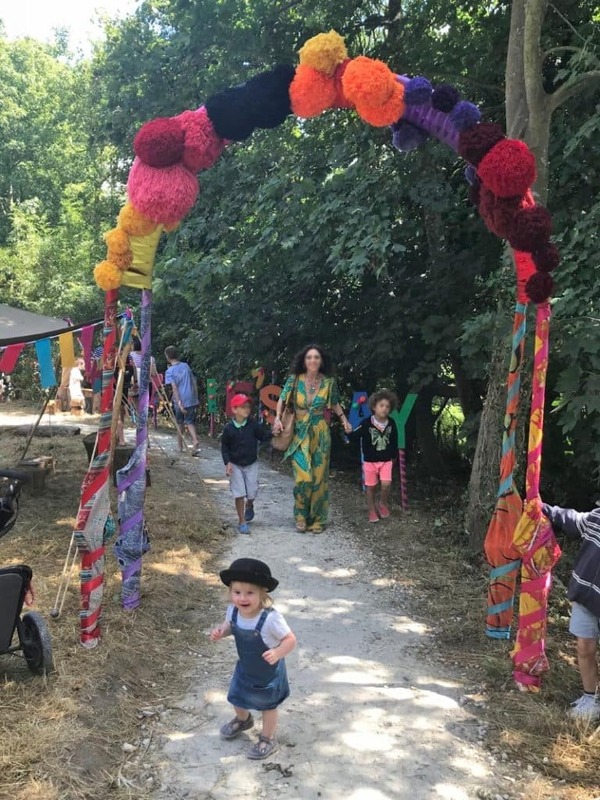 One of our favourite areas of Camp Bestival from last year was Dingly Dell. 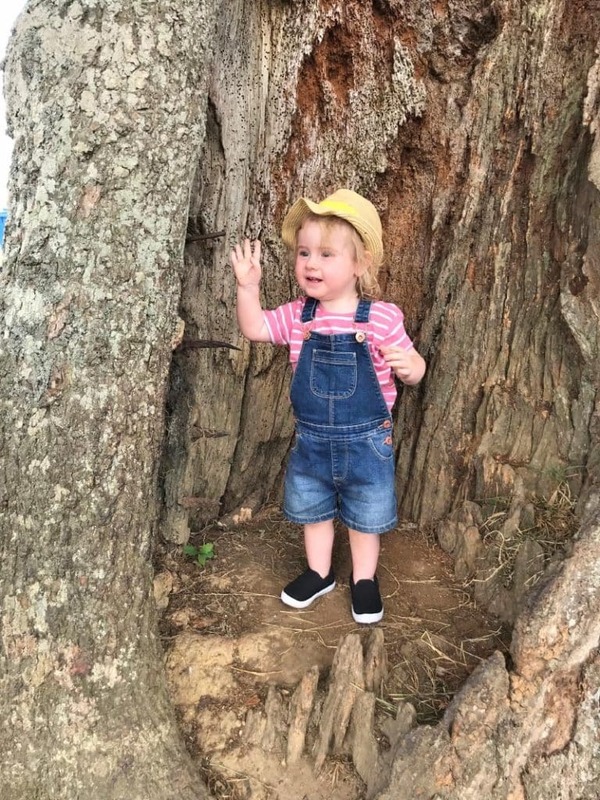 It’s a woodland area full of muddy activities for kids, but sadly Avery was too young to enjoy it last year. This year she is in full on toddler mode and I knew she would love it. 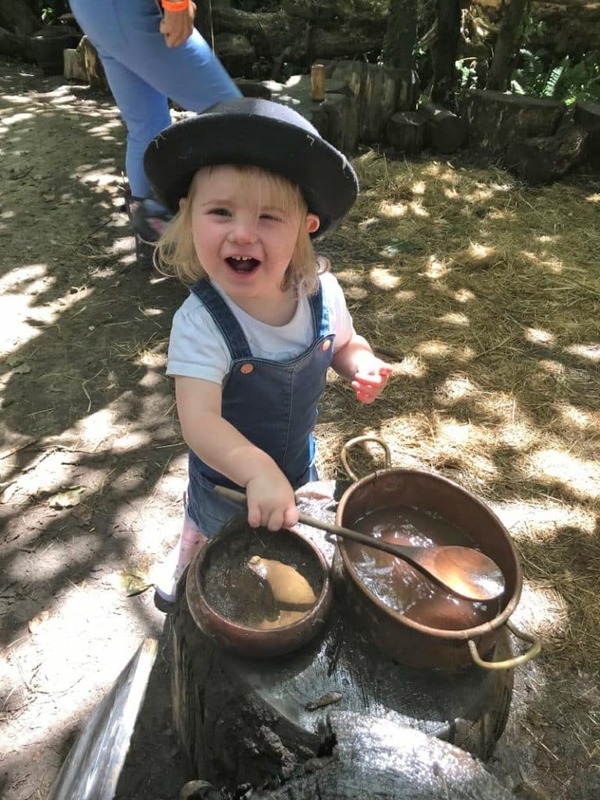 We headed in to the woods and walk through Lizzie’s Way and straight to the mud kitchen. As much as I would love to not care about how messy she gets, I loved her outfit that day so had the wet wipes out to make sure she didn’t get too covered. But I quickly realised it was a losing battle! She stirred mud pies, stomped in some mud and tried to chase us with her muddy hands. She was pretty much in toddler heaven. At the end of Dingle Dell is the giant tea pot. A wooden hut with a wood burner in the middle where they sell tea and you pay what you feel it is worth. The best part about it is there are some guitars, drums and tambourines laying around for anyone to pick up and have a play. A mini jam session for anyone that fancies it. One thing that has been on my bucket list for years is playing and singing to an audience. I have played guitar (not very well) since I was 10 and signing for longer. I have always put this part of my bucket list off, but Dave kept telling me it was the perfect timing. Someone was already playing guitar, there was only about 10 people in the hut and there was no pressure. 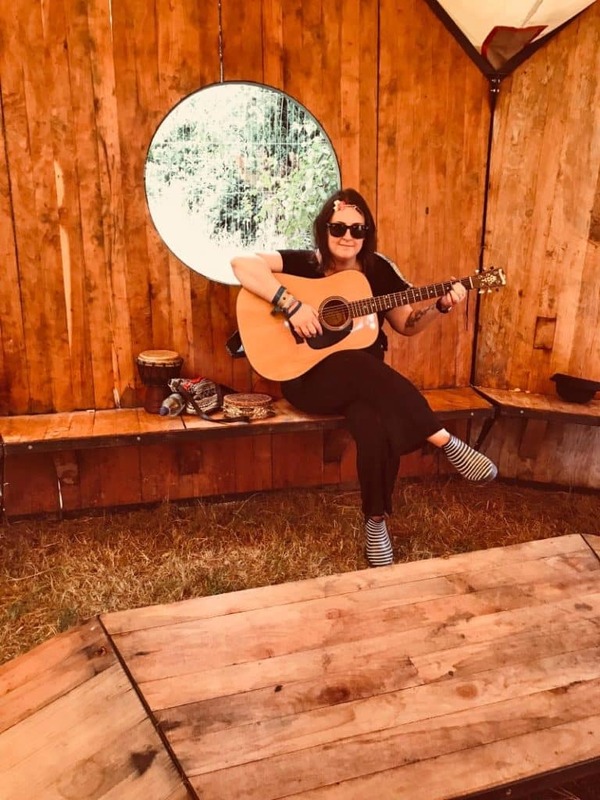 So, I picked up a guitar and played and sung. And nobody booed! Avery supported on drums too. It was such a chilled out place and a nice way to spend an hour. The tea was really good too. 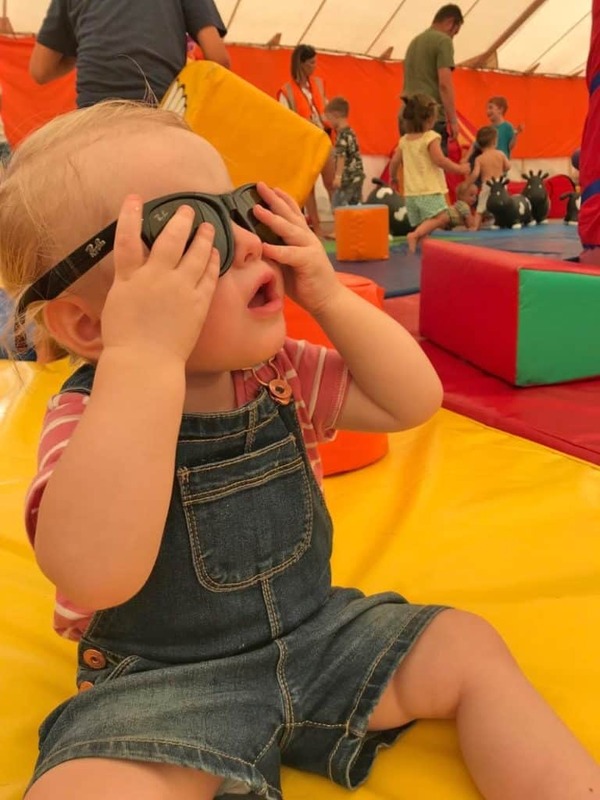 We headed back to our Octopad for some quiet time, as it can all get a bit overwhelming for a one year old. That’s what I love about having the PodPad – that there is someone quiet and comfy to go back to whenever we need to. Next up was an act that we were looking forward to the most – Mr B The Gentleman Rhymer who describes himself as Chap-Hop. He is a parodist who performs classic hip-hop songs in a posh British accent. It’s genius and it was great to see him on a bigger stage this year with an even bigger crowd. The wind was really starting to pick up at this point and the rain had been threatening all day. 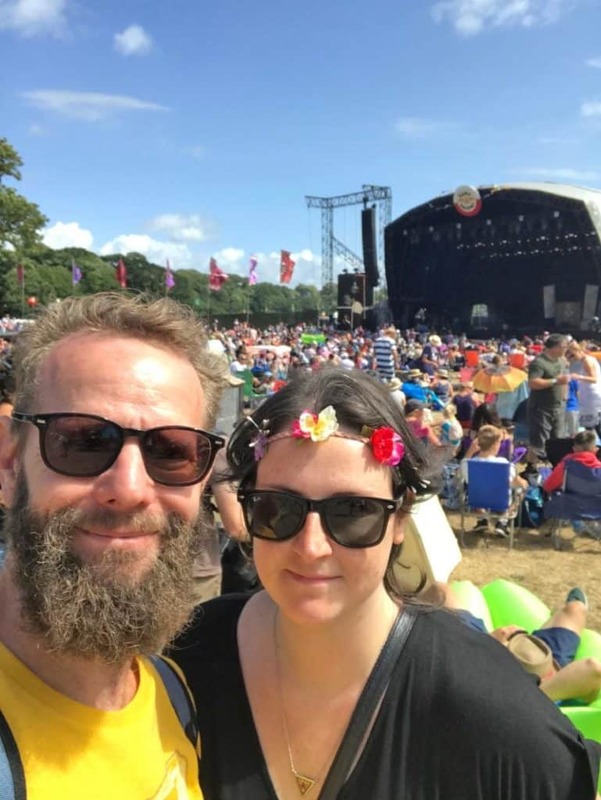 We knew there was a weather warning for that night and the next day, so we thought we would have an early night and miss the headliners (Clean Bandit, who we weren’t bothered about anyway). Not before some more food that is! 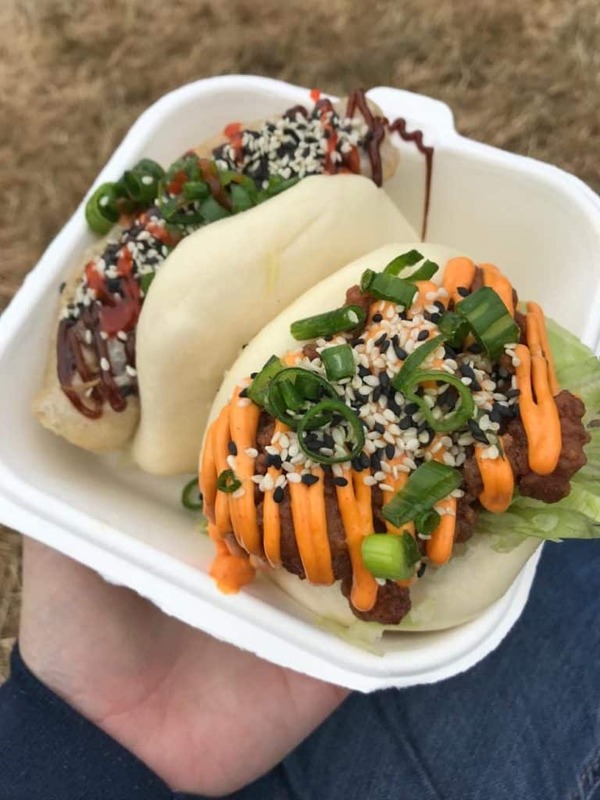 We had been eyeing up the bao stall in feast collective, so whilst Avery has some more Mac and cheese, we got some stuffed Chinese buns to keep us going. 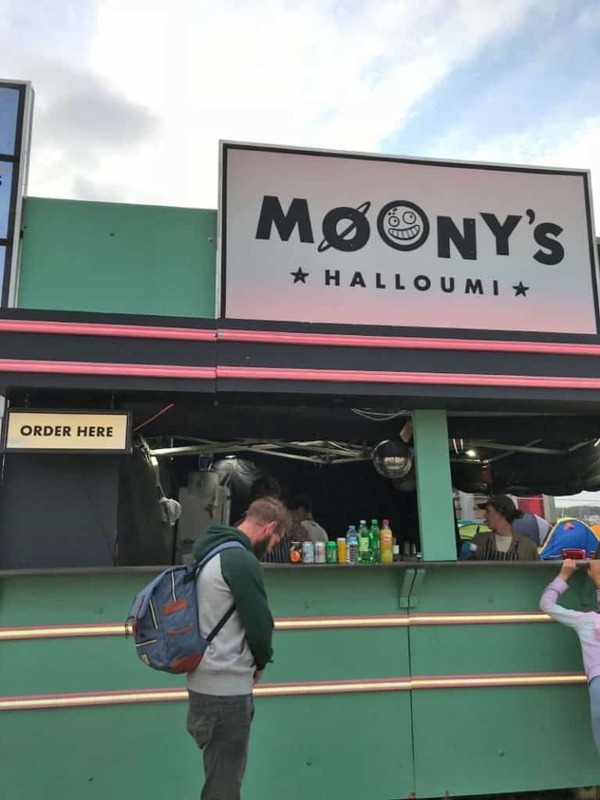 On the way back to our campsite we passed the halloumi van and we thought we couldn’t leave the festival without finding out what halloumi fries are all about. Where have they been all our lives? 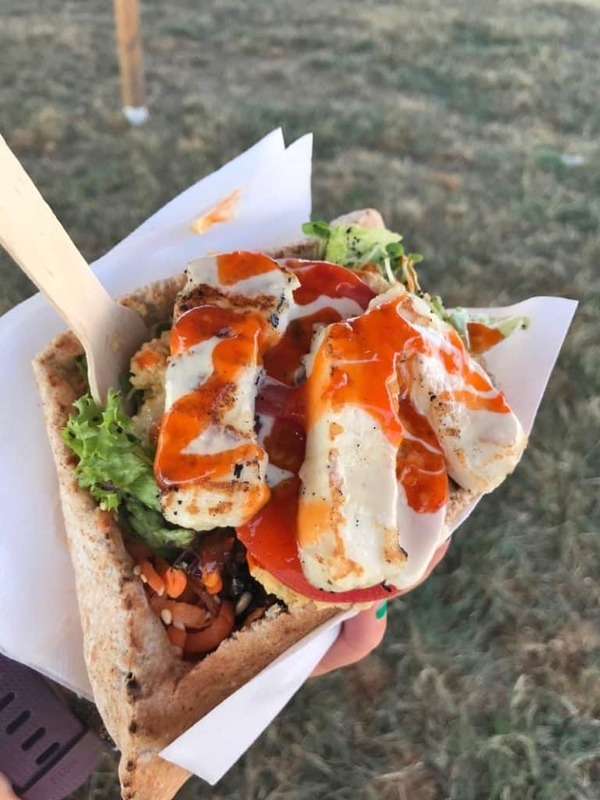 We basically ate a whole slab of halloumi, but it was so worth it. Actually, Avery ate half of it, so it wasn’t just us. 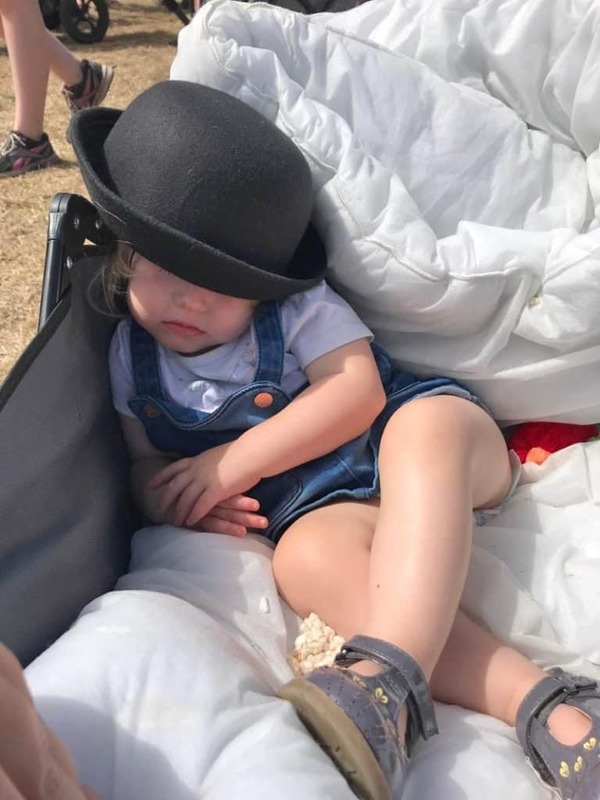 And that is where the festival really ended. We got back to the camp site just in time, because the heavens opened. The wind picked up and we felt like we were going to take off. That lasted all through the night and despite being much better off than we would have been in a tent, we didn’t get a good nights sleep. We woke up to pretty much carnage. Heavy rain, crazy wind, tents blowing everywhere and being destroyed, toilets blown over and uncertainty as to whether the festival would open for the last day. 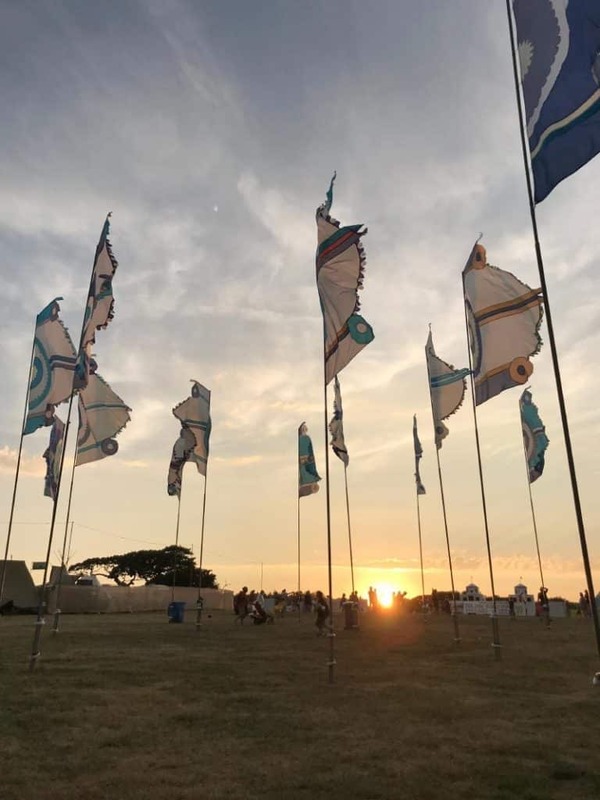 Camp Bestival said that nothing would open in the morning, just the food vans in the campsites and that they would update everyone at 12:30 as to what would happen. 12:30 then turned in to 1:30 and then they made the tough decision to cancel the last day. You could hear the disappointment blow over (literally) the entire festival, but they made the right decision. The weather was insane, people’s tents were being destroyed, trees were falling down, security fences being blown over and it was dangerous. Health and safety comes first. So, we packed up and headed home. But 80% of the festival did the same at the same time so it was a bit chaotic getting out and in the roads. The traffic was mental and it took 10 hours for us to do a 6 hours journey. But despite all of that and the sudden end, we had an amazing 3 days and we will for sure be back next year. 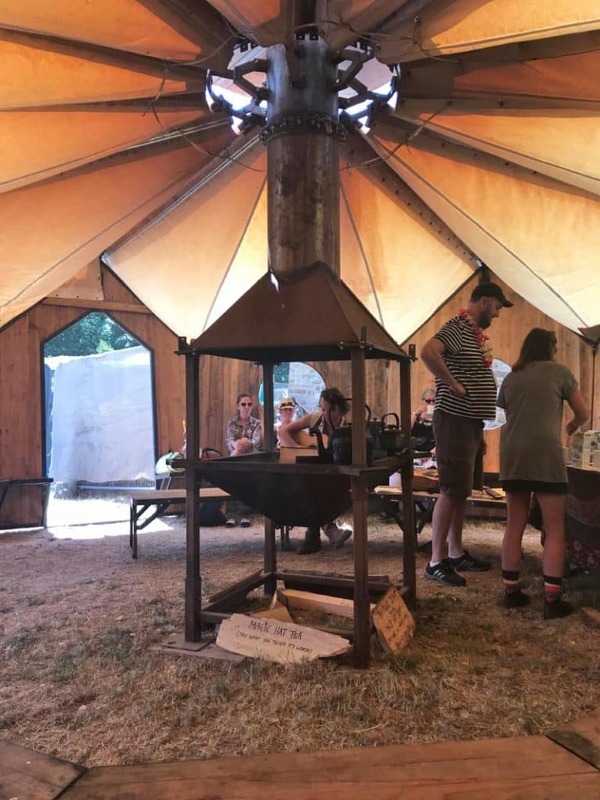 Thanks to Camp Bestival for inviting us and for Pod Pads for putting us up in such comfy accommodation so we could weather the storm. 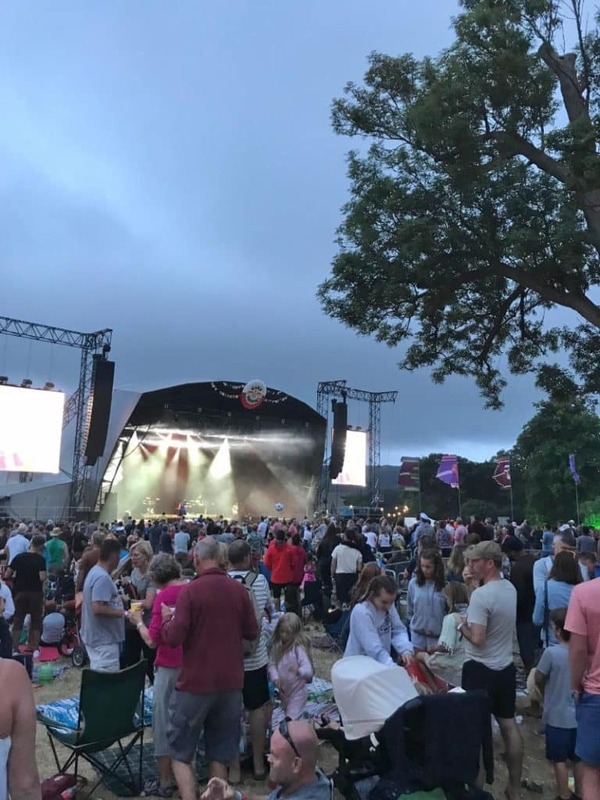 Looks and sounds like you had a fab weekend, such a shame the weather ruined it right at the end! This looks like such a fun festival! I love that you made it a family affair. 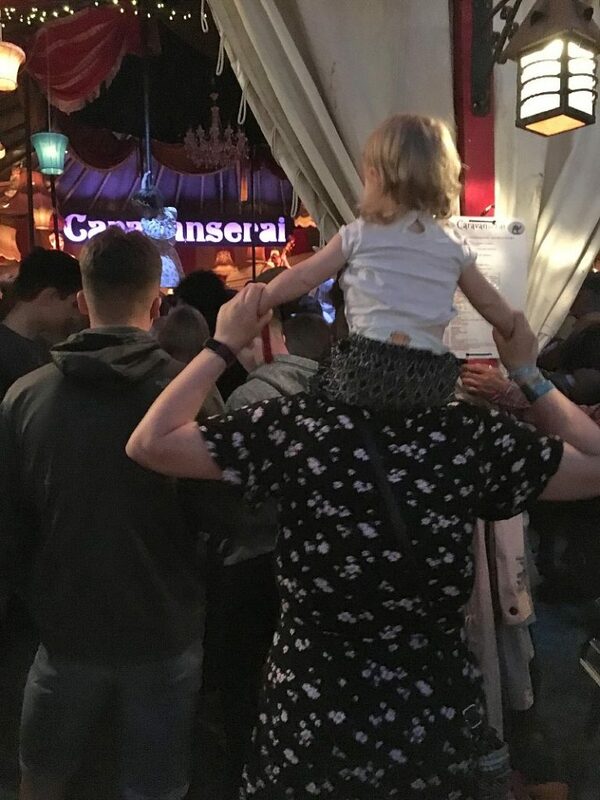 I have yet to attend a festival like this but its so nice that the whole family is able to enjoy this experience! Oh my heck! You can tell you guys had an amazing time!!!!!!!! 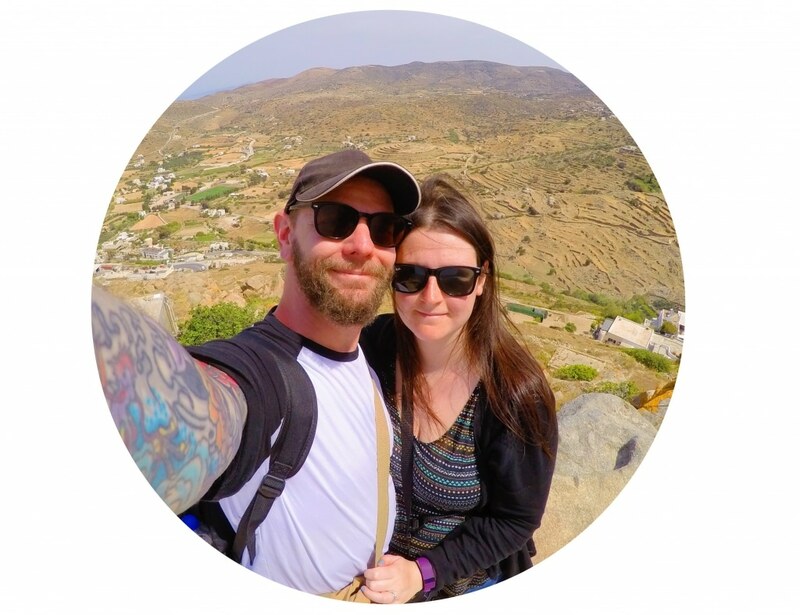 !What a fun thing to do together. I’ve got to check this out someday! Avery is such a darling, and she certainly looked like she had a great time. I love her trolley, could do with one of those for myself at times. Well done on playing the guitar, such a great opportunity for you. This looks awesome. My family would love to go to somethng like this. The one picture reminded me of Harry Potter! Perfect hangout bonding! I want to experience that festival looks a lot of fun! We were thinking of going to either camp bestival of the big festival next year. Our son will be 4 and I think he would really enjoy it. Any comparison of the two? Your daughter is so cute. What an amazing experience for her to have. Sounds like you made the most of the days you had! This sounds like so much fun! 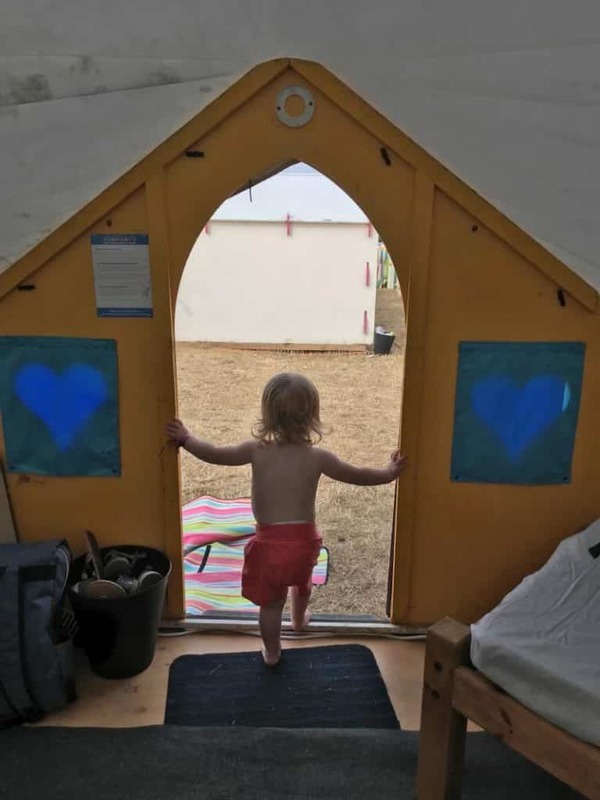 I grew up going camping: tent camping in Girl Scouts and in a camper-trailer with my family. The octopod looks like a wonderful potion to be more comfortable but still be (mostly) roughing it out there. 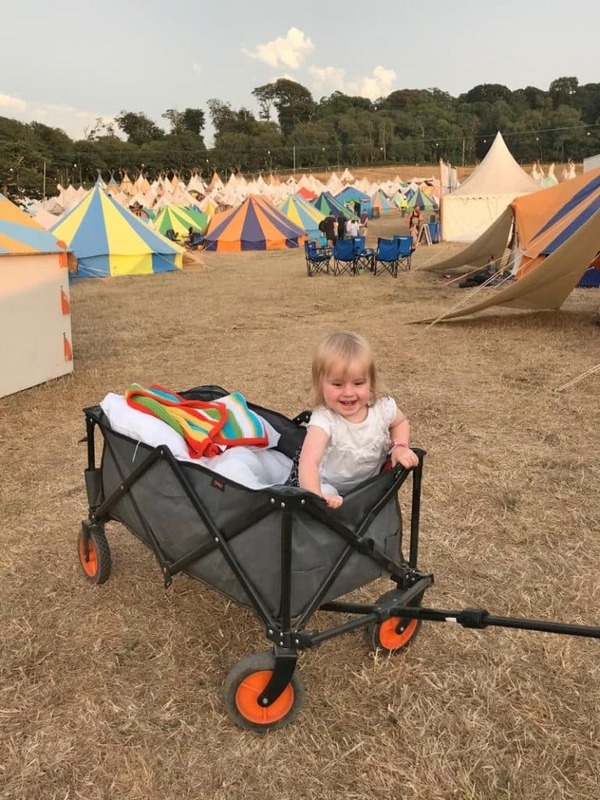 Your daughter looks so comfortable in her decked-out wagon! That looks fun and it seems you had a great time. Thanks for sharing the moment with us. 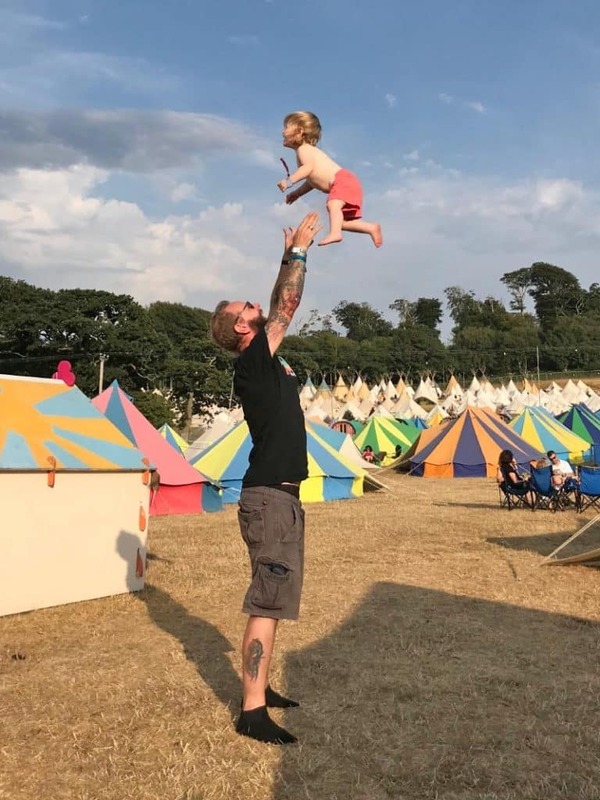 I love the idea of a family friendly festival. 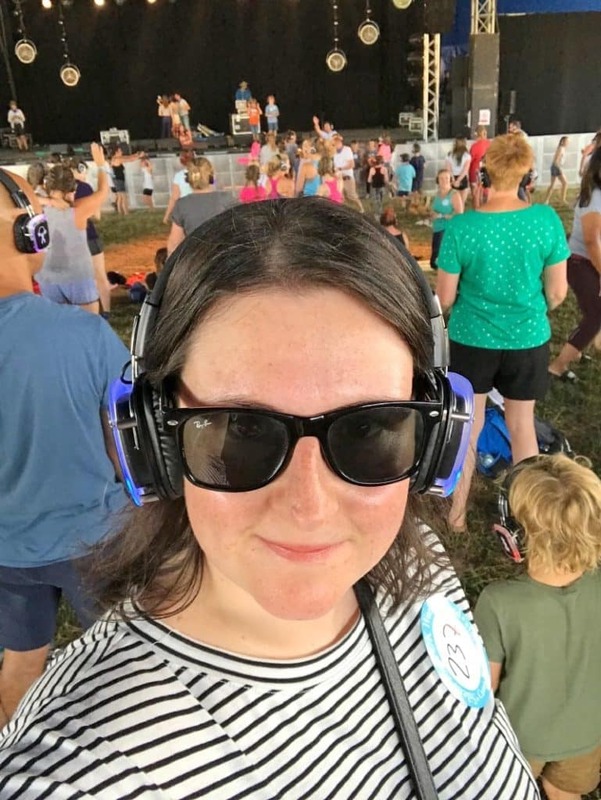 When I was of festival age, they weren’t really a “thing” and now I’m wayyyy too old to attend some of the bigger ones. That Octopad looks wonderful! 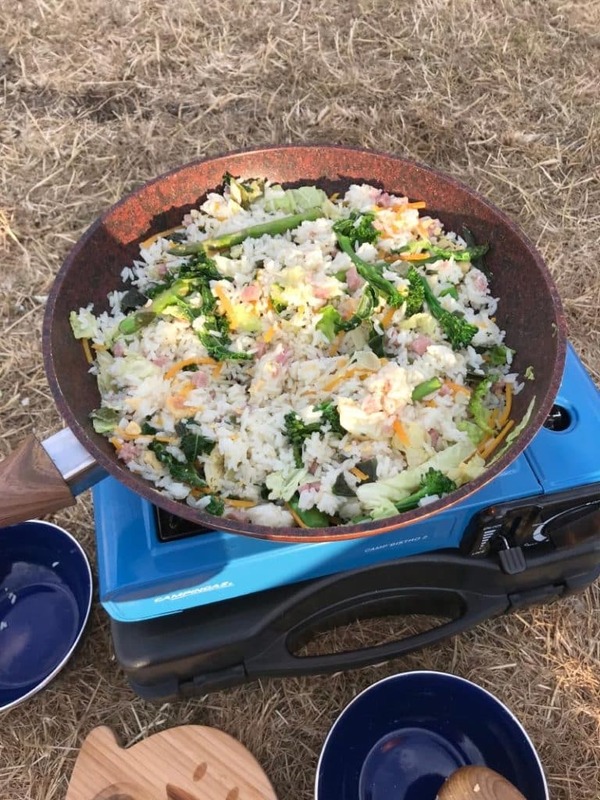 What a great way to keep some of the comforts of home while camping. 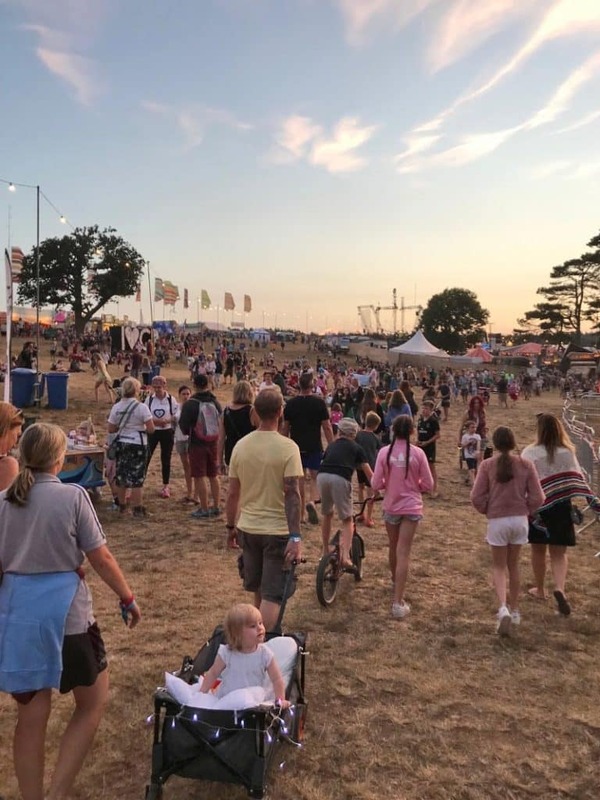 Camp Bestival looks like a fun, family festival and those pods look so comfortable… such a shame about the last day but, as you say, health and safety have to come first!